Complimentary Ferrari-Carano Wine Tasting Friday 9/28! 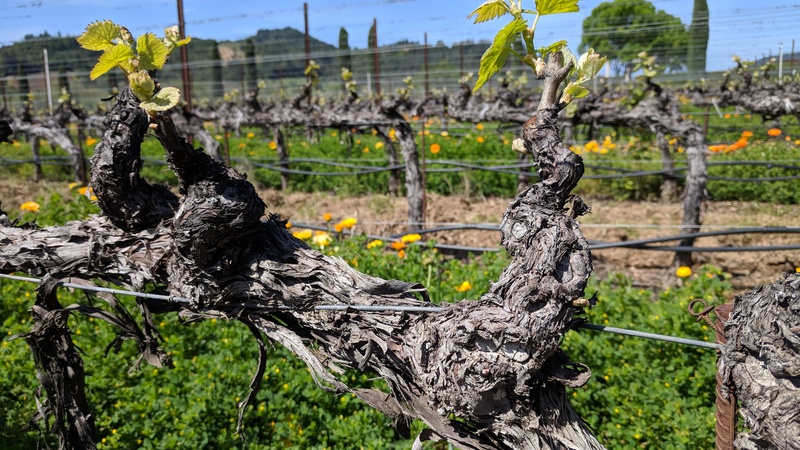 Founded in 1981, Ferrari-Carano, located in Sonoma County’s Dry Creek Valley in Calfornia, is the dream and hard work of Don and Rhonda Carano. Decades later, this family-owned and operated winery continues to make remarkable wines, vintage after vintage. 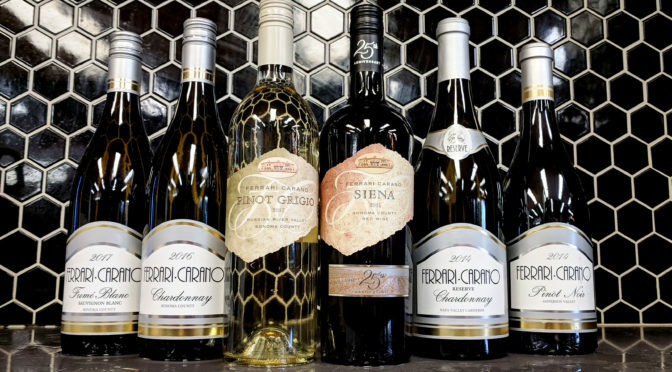 Drop by the Beverage Warehouse this Friday, September 28, from 4:00 – 6:00 pm and enjoy free tastes of wines in the fantastic Ferrari-Carano portfolio! Read on to check out more about the six wines that Cathy from Ferrari-Carano will feature this Friday. Ferrari-Carano’s many Italian wines honor the family’s spirit of Italy, their Italian heritage, and their philosophy of celebrating life. 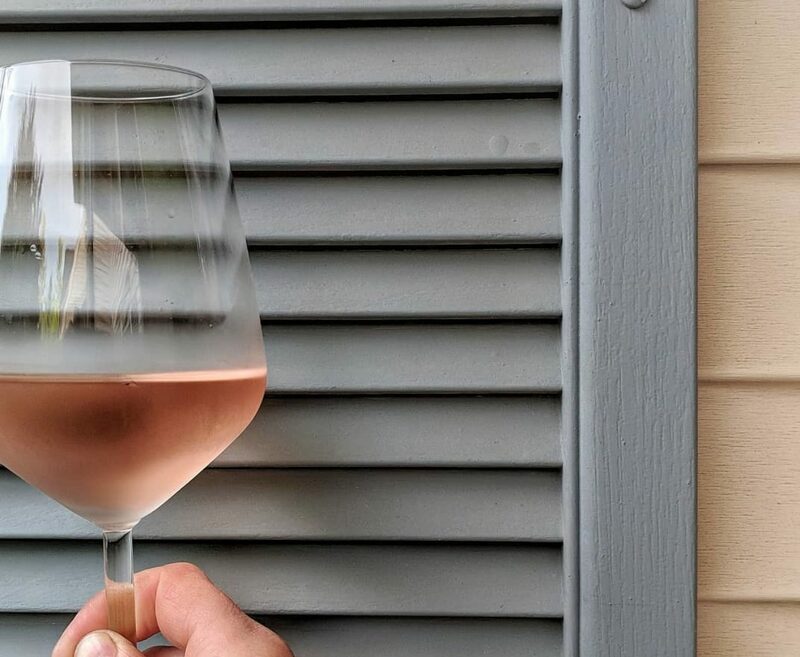 This tradition is carried on by a winemaking team that notably includes three female winemakers: Sarah Quider, Rebecca Deike, and Christy Ackerman. 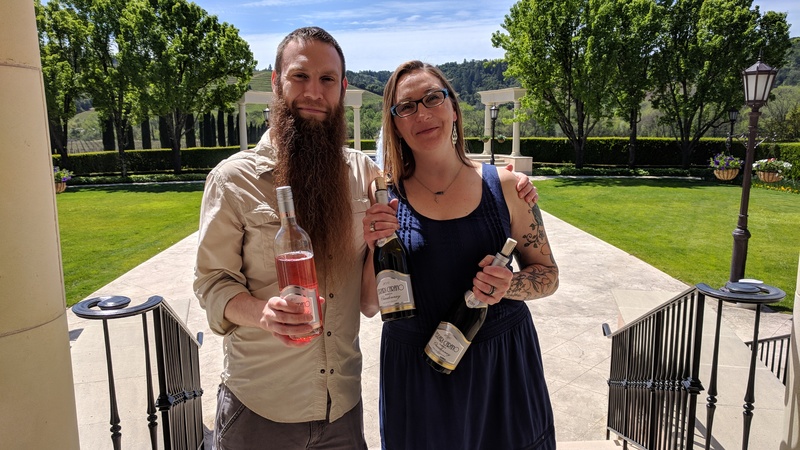 Earlier this year, Jason and Kate from the Bevie visited Ferrari-Carano on their trip to Napa & Sonoma, and were treated to an incredible tour of the vineyard, winery and cellar…where the acoustics were fantastic! 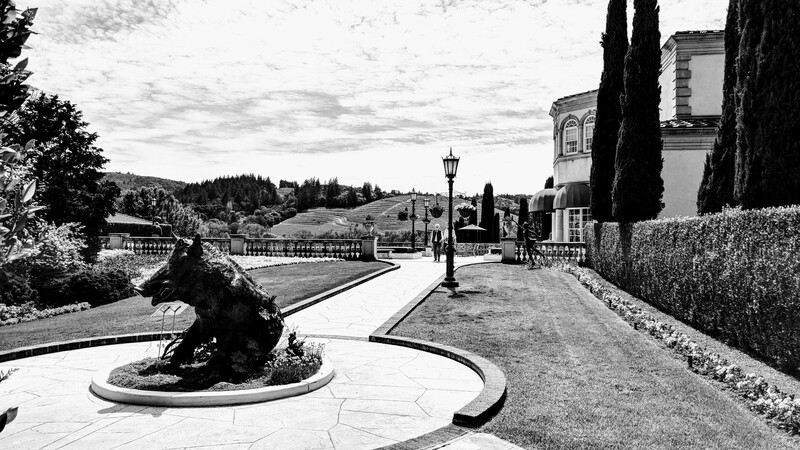 Learn more about the Ferrari-Carano family, history and wine portfolio at www.ferrari-carano.com. Jason and Kate enjoying a fabulous tour and tasting at Ferrari-Carano! The famous boar at Ferrari-Carano’s historic estate in Sonoma County.